Kitchen storage is easy with the addition of Ikea shelves. We love our kitchen and all of the changes that we have made to make it truly fit our tastes and needs. We use every inch of the cabinet space that is available and even reworked our laundry closet into a shared laundry/pantry just to get some more storage space for food, etc. 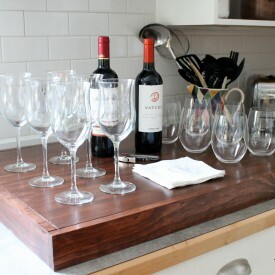 Recently, we figured out a great IKEA hack that was a perfect answer to how to add more storage in our the kitchen. It was such an easy fix, and I use it every single day. When Mom was here in the fall, she mentioned that we had some wasted space at the end of our cabinets that face our living room. She knows how we value storage around here, especially with a toddler added to the mix. Mom suggested that Yankee build a book shelf on the end of the cabinet for my cookbooks. I thought it was a great idea. 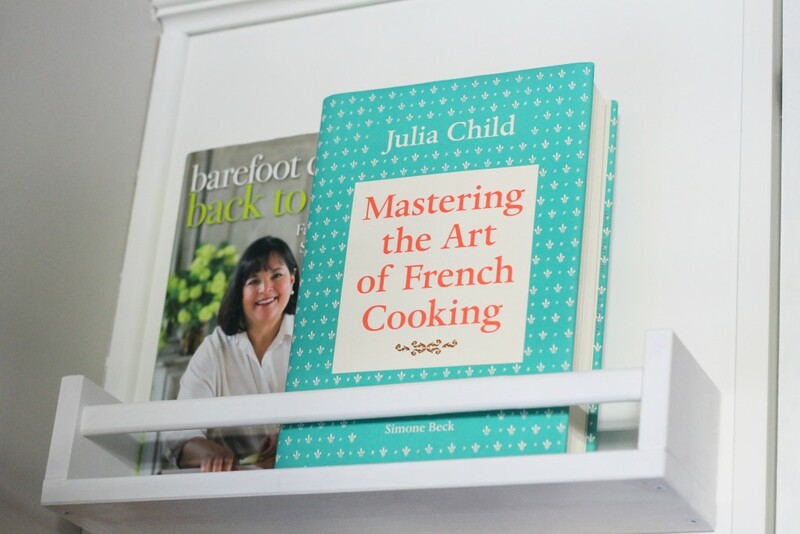 There are certain cookbooks that I use over and over again, and having them near and handy would be a bonus. Yankee and I discussed the style of shelves he could build, when he could do it, how he could do it, etc. Then I made a brilliant discovery that gave us an entirely different approach to the project. Instead of building shelves, we bought shelves that were already constructed. And instead of buying a massive shelf which was our first idea, we simplified things and bought three of these spice shelves at IKEA. They cost just $3.99, each. Then I painted each one of them white using just a can of spray paint. 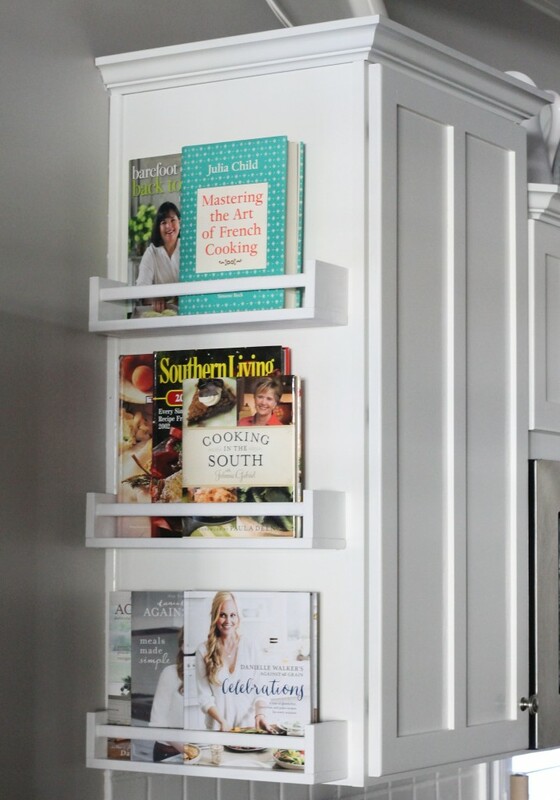 These shelves are sturdy and can easily hold two or three cookbooks within easy reach. 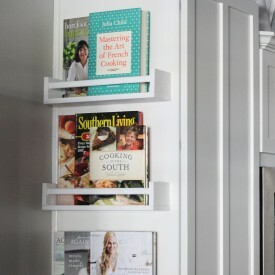 Yankee attached them to the end of the cabinet, and we had almost instant cookbook storage. This project was easy, fast, inexpensive, and useful. What more could you want when doing a DIY project? I am so happy that we made this small improvement that had such a big impact on our daily routine. There are certain cookbooks that I use frequently, and having them so handy makes such an improvement. I no longer need to go to our bookshelves in the playroom and search for a certain cookbook when I need a recipe. My favorite go-to books are now right where I need them and can find them. Maybe it will give you some ideas about adding more storage in your own kitchens. Take a look around. 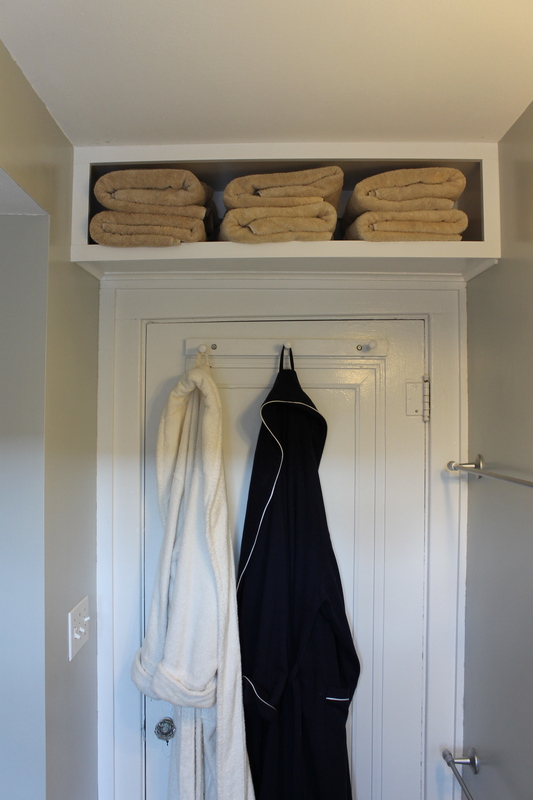 Do you have a cabinet that has some space to spare? Cindi, I am 6 feet tall, so it’s easy for me to reach things! I do have a mini folding stool in our pantry to get the things on our highest shelf that I can’t even reach. This is a great idea. 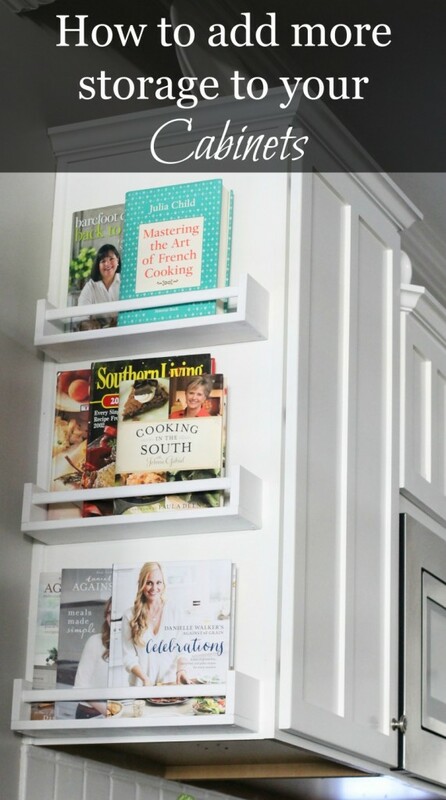 I have been thinking about adding a shelf or something for cookbooks, since my cookbook area requires a stepstool. I may try this. 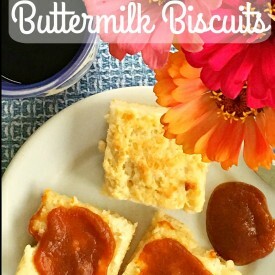 Your kitchen works so well for your family. I just found a very cute hook and shelve unit to hang in the laundry room for my coat and purse to get them off the back of the chair. The cookbook shelves are on the list. I think I have finally found a coffee table for the living room. And I just bought a wonderful fruit print at a consignment store. I always like to wait and live with things for awhile then do some tweaking. I love how well your kitchen is meeting the needs for your family. 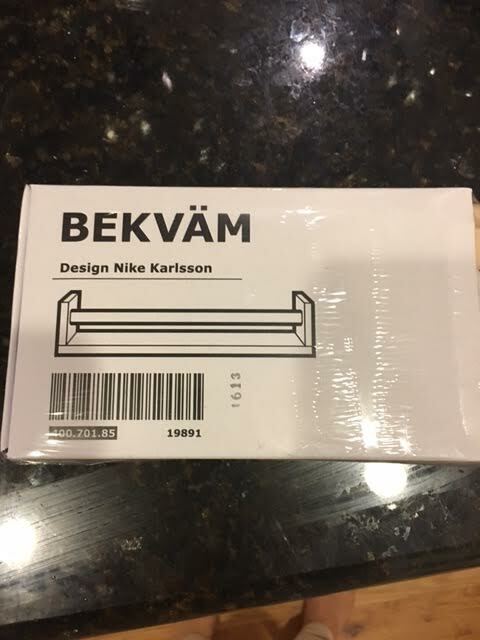 WOW….SUPER COOL & BEAUTIFUL…..THANKS FOR THE AWESOME IDEA….GOING TO IKEA TODAY!!! Looks really nice ! 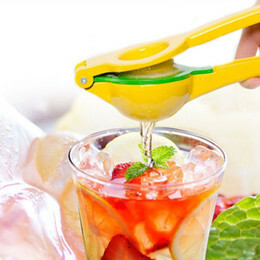 Great idea ! How did you attach them to the side of the cabinet? I’d love to do this, but I can’t figure out the easiest way to get them secure. Thanks! We just screwed them right into the side of the cabinet. FYI they do not come with screws or anything to attach them, they leave that up to you. 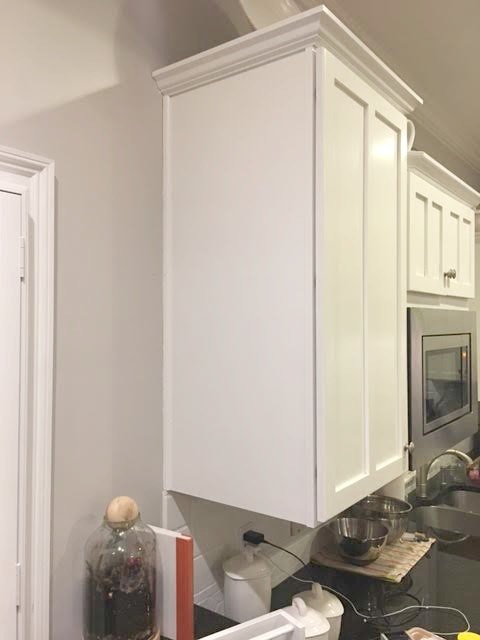 Do you have to worry about the screws coming through the other side of the cabinet? We did worry about this but we measured and check the screw size to make sure they wouldn’t go through the cabinet. These didn’t come with screws so you have to purchase your own. Great idea. What is the paint color of your kitchen, please. 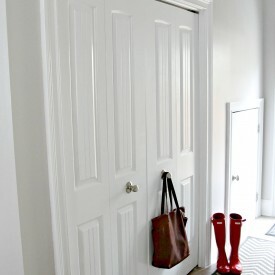 The paint color is cotton grey by Behr and I LOVE it!